I’m not on a grain-free or gluten-free diet myself, but I do like to experiment with different flours. I would say if you are on a grain-free diet, then this recipe’s a winner – making something that even closely resembles bread without using any grains is certainly a challenge. This recipe is so quick and easy too. This one uses coconut flour, I slightly adapted the recipe from here – Coconut Mama. The original recipe used coconut oil as the fat, but after reading some of the comments on her post about the bread tasting too strongly of coconut, I substituted olive oil instead which brings more of a savoury flavour. I am very fond of coconut but I don’t necessarily want to taste it strongly in a bread. Also, the original recipe used baking powder; as a lot of baking powders do contain some grain/gluten, I substituted baking soda (bicarbonate of soda) and cream of tartar instead which will do the same job together. 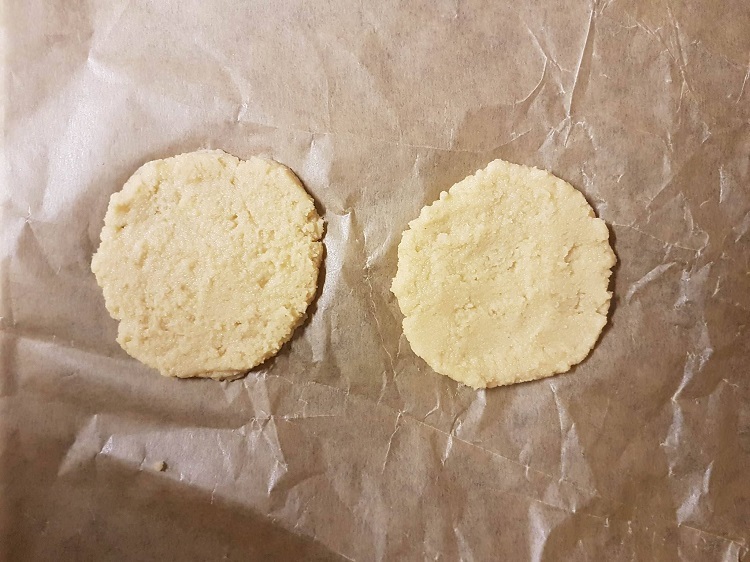 This makes a robust bread, (unlike the grain-free cloud bread I previously made, which I love but is very fragile), so you can spread this flatbread and make it into sandwiches without it falling a part. 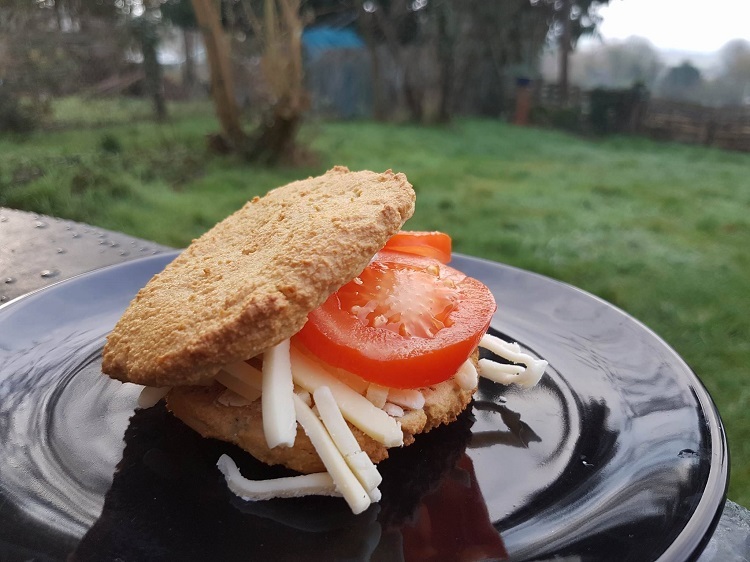 Another bonus is that it is high in protein so it’s filling and satisfying, which may mean that it’s a good alternative to standard bread if you’re trying to lose weight (but I’m only guessing on that, so don’t hold me to it!). This recipe quantity makes two small (approx 9cm) rounds, i.e. enough to make one sandwich as in my picture above. Try this quantity, and if you like it, scale it up and make a bigger batch. Preheat oven to 350F/180C. Line a baking sheet with non-stick baking paper. Beat the egg and oil together with a fork until well combined, then pour onto the dry ingredients and mix well with the fork until any lumps are gone. Leave it for 2-3 minutes for the flour to absorb the wet ingredients. Spread two rounds on to the baking paper until they are about half a centimetre thick, and about the size of a standard bread roll. 6. Bake for 10 minutes until golden, then transfer on to a cooling rack. If you like this recipe, you’ll find loads more recipes using coconut flour on the Coconut Mama site I linked to above. 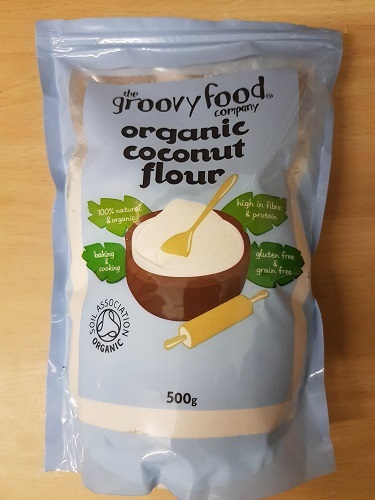 How do you mill coconut flour? No, seriously, in a windmill? Well I doubt it. How much flour of any kind is made in a windmill these days? Thanks, Vanessa. Nice to see you out and about.